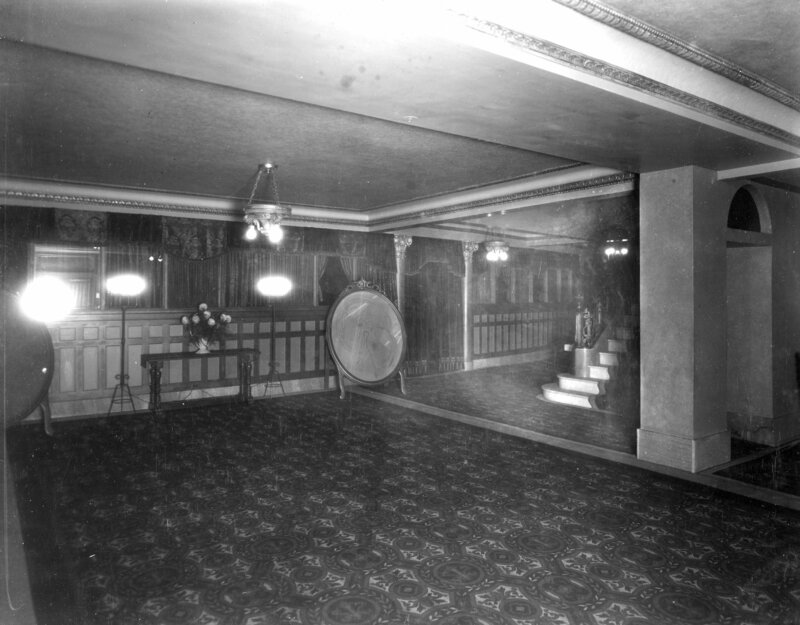 Description 25842 Orpheum Theatre foyer looking northeast showing drapes, L. Marcus Enterprises. November 15, 1927. Shipler #26415.